As we face a week of Siberian weather, I thought I'd take a few quick pictures of the pretty crocuses in my garden before they get covered with snow again! 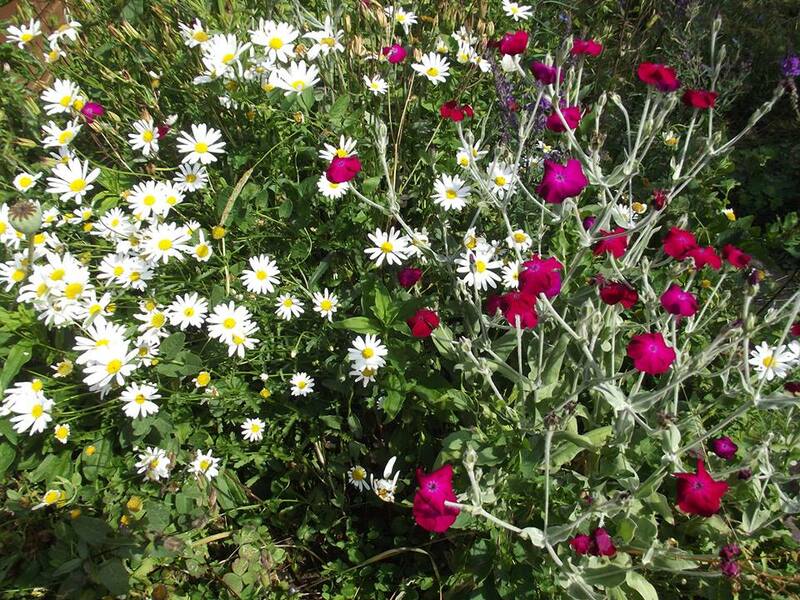 These brave, delicate little flowers are some of the first to appear. I don't know how they do it! It was -3 degrees C in the garden this morning, yet with the first few rays of sunshine, they are blooming and lighting up the garden like mini torches. Just brilliant. The tulips and daffodils are only half way up. 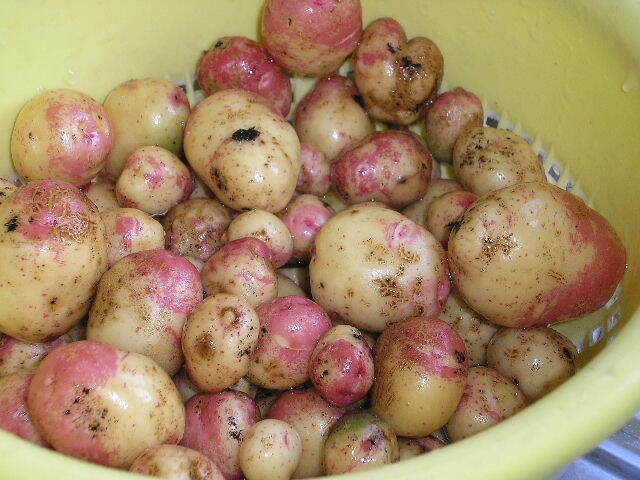 They should be ok in the bitter weather we are expecting. I hope the Sweet Williams will survive too. I put the Sweet Williams in the box to overwinter, ready for planting out when the weather warms up. Millie popped her head outdoors this morning, for a little while. She is an old lady now and doesn't like to be cold! 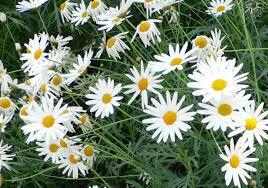 The half-hardy Argyranthemum frutescens is more generally known as White Marguerite, but what colour is the bushy, tender perennial Felicia amelloides, which is sometimes also called a marguerite? 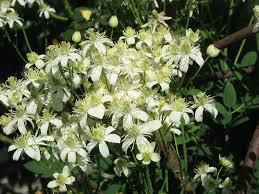 Is Clematis recta a herbasceous species, best planted in the border, or a climber? 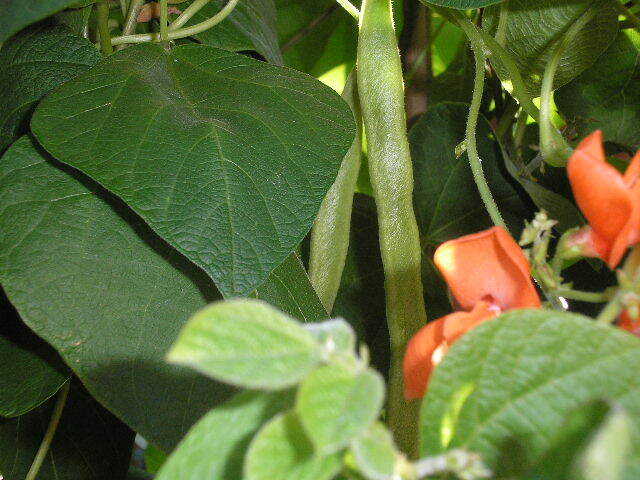 What name do gardeners give to a young plant soon after seed germination when it has just a single unbranched stem? The Autumn crocus does not in fact belong to the Crocus genus, from which it differs in that its corm is oval in shape and not flat or round. 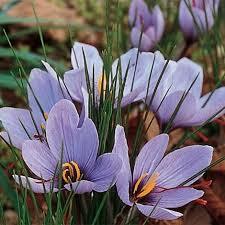 What is the botanical name of the Autumn crocus? 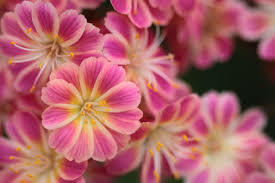 The rock garden plant Lewisia cotyledon, which produces white-veined, pink flowers in May or June, sheds its rosette of leaves around October or November. True or false? I wonder how many you got right? 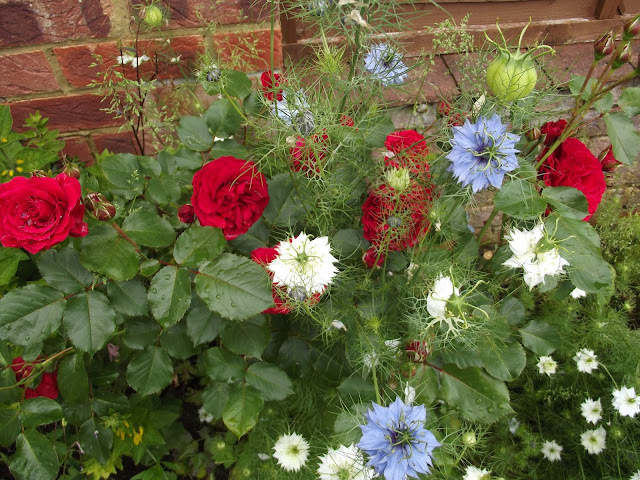 With thanks to Geoff Hamilton's 'Gardener's Challenge' book. 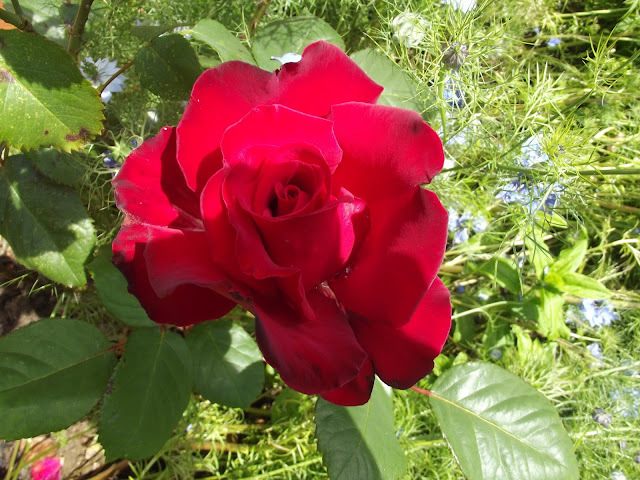 June is the time for roses and this year has been especially good for roses in my garden. 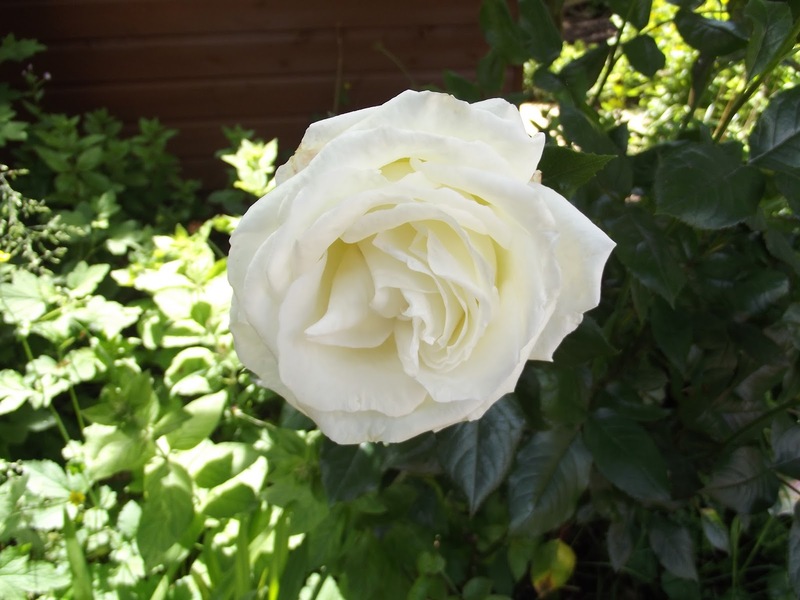 Sadly I can't remember all the names, but you know what they say 'a rose by any other name would smell as sweet' so I'll just leave you with the pictures and you can name them yourself, as I did. Would you like to have a go? Tell me what you would call them? We need some rain. I have been out watering every other day for a week or two and the plants needed it because it has been hot, hot, hot. Thankfully today, we have cooler weather but there are thunder-storms about for the next few days. With luck we shall have fresh peas for dinner on Sunday - the first of the crop. I can't wait! I hope everything in your garden is growing well? Spring has arrived in my garden - at last! It's so nice to have a lovely sunny day after the long winter and the flowers in my garden thought so too! and visiting the bluebell wood. Whatever you are doing, enjoy your time with family and friends. Woke up this morning to a wintery world and very cold temperatures. The garden looked so pretty in its frosty cloak, I felt I just had to take some photos. The holly is glorious and full of berries this year. 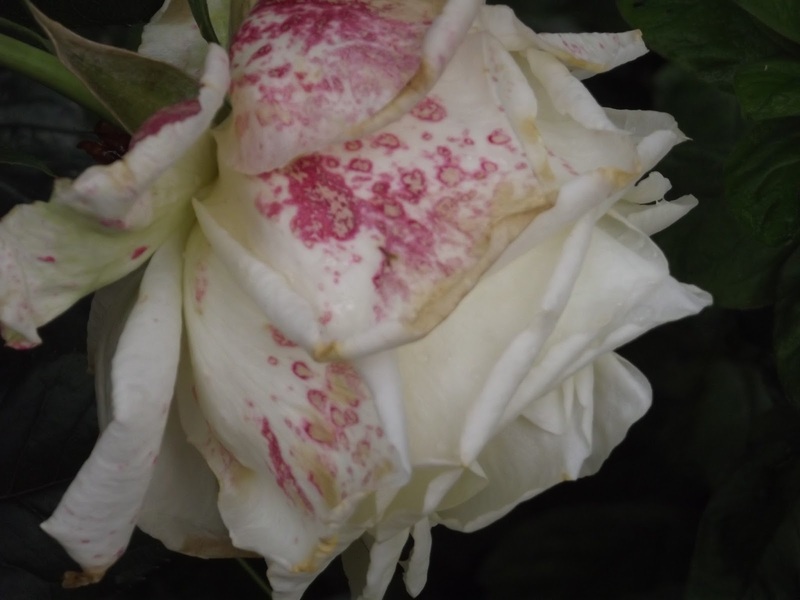 This one is Golden King, a female variety - yes you read it right! Here I am peeking through the lilac tree, trying to see a robin feeding at one of the feeders. My winter cabbages are frozen! 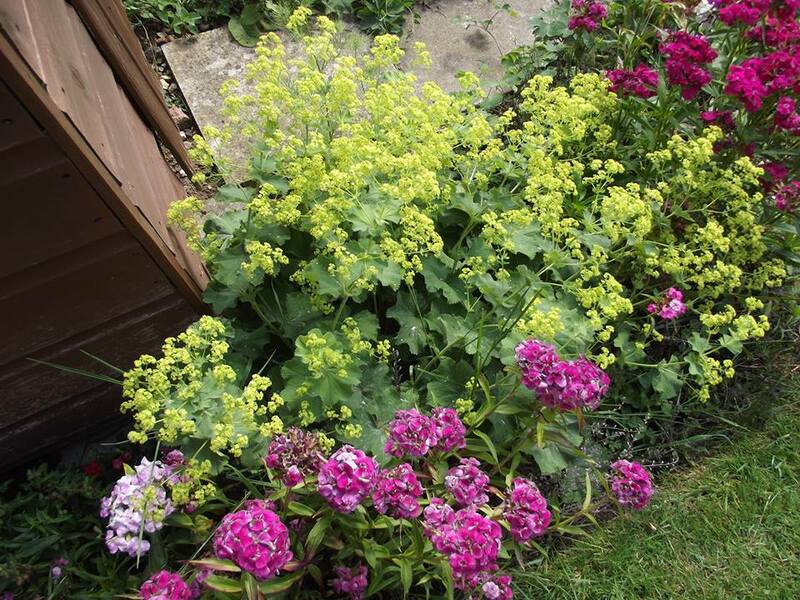 and so are the plants in the border, but they will all recover. What's happening in your garden today? There's something about scarecrows and Halloween, isn't there! There's always the feeling that one of them might come to life and start harassing the neighbourhood! 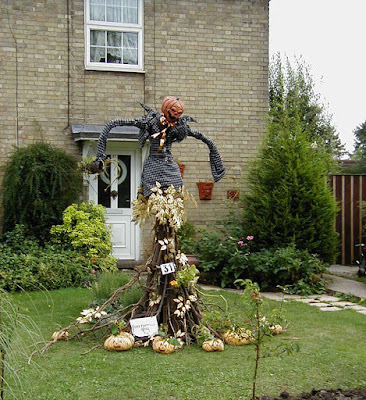 A few years ago, in the village of Shillington, near where I live, they had a scarecrow festival. 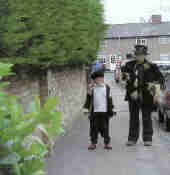 People there made scarecrows and put them in their gardens for others to come and see. I went along and I was very impressed with their efforts. We were given a sheet with details of the exhibits and encouraged to vote for the one we thought was the best. Walking round the village had an eerie feel to it. Almost the first one we saw was exhibit number 31, see above, which portrayed a very creepy pumpkin head man. It must have taken ages to make this one up. This last one really did come to life and walked down the street right past us! After we had looked at all the wonderful exhibits, we had tea and cakes in the village hall and admired all the goods on sale. It was a lovely afternoon. Labels: Halloween, scarecrows, village life.